Fresh out of law school, a young attorney opened shop in LA, with high hopes for style but no budget for construction. The building—doors, carpet, even the paint on the walls—was taken as a given. 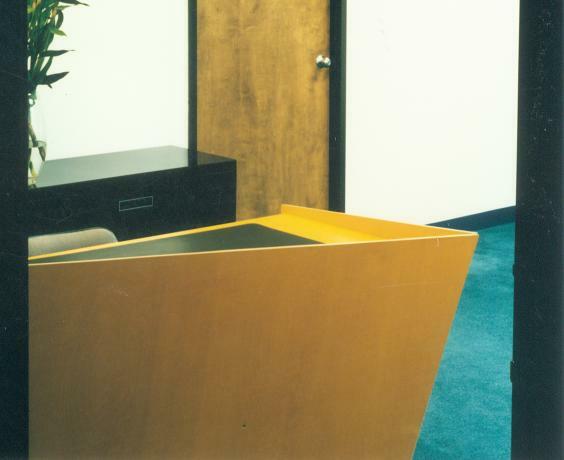 Only the receptionist’s desk, the attorney’s desk, and a couple of tables were up for grabs (and that was because a cabinetmaker owed the attorney a favor).